“Not all those who wander are lost” – my favorite quote by JRR Tolkien. 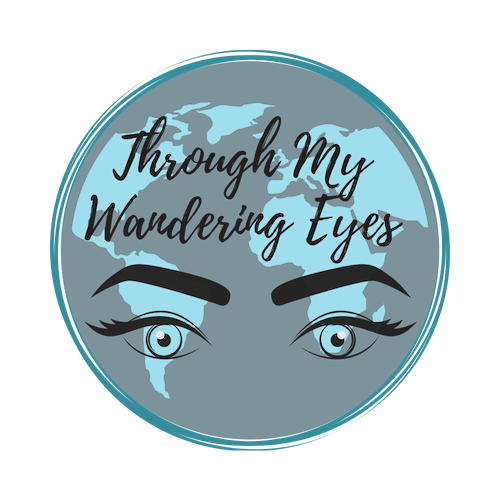 It resonates with me, whether it’s away from the group, or to another country, I’ve always had the tendency to wander off on my own and go exploring. I took my first “solo”trip to a foreign country just after college to Italy for a week. I say “solo” because I was going to visit friends that were living there, but I traveled there alone and spent the better part of each day exploring the city by myself while they worked. I couch surfed and stayed at hostels while I was there, doing my best with the small budget I had. At this point in time I didn’t realize that I was okay with traveling alone, I just got tired of trying to make plans with other people and waiting around for everyone. Growing up with exchange students living with us from all over the world, I have always been curious to see what else was out there. I suppose this was the trip that really got the ball rolling though. Once I learned I could travel by myself and I was finished with school, my options seemed endless after having learned that cheap travel is very doable. That winter I moved to Las Vegas to be a gogo dancer and transitioned over to being a cocktail waitress within a few months. I didn’t know what I wanted to do after college, except that I wanted to make money and travel. Well it turns out, I picked the perfect job for that! At the end of that summer I took my second solo trip to Spain. I visited my exchange student sisters in Madrid that had lived with me previously, then went to Ibiza to meet some girl friends for a few days, and finished in Barcelona by myself. I really started to get the hang of it and didn’t mind going anywhere alone. It was great actually, I never had to coordinate with anyone else’s schedules or financial restrictions, I got to do exactly what I wanted, when I wanted. People started noticing I was traveling a lot and I started to have friends ask if they could meet up with me in certain places, and I enjoyed that too. I would just give them my itinerary and tell them they could join in whenever. My longest trip so far was to Bali and Thailand for 6 weeks last winter while I was off work after cocktailing seasonally at a day club here in Vegas (SUPER perfect job for travelers- you only work 7 months out of the year!). This was the TRUE game changer. A got a taste for long term back packing (although I made the rookie mistake of taking a giant suitcase- NEVER AGAIN!) and I’ve been dreaming of my future long term travel journey ever since. That trip inspired this blog along with me becoming a Photographer. So many friends or acquaintances on facebook were shocked that I would go to such a far away country, for so long, and by myself – especially as a female. Any chance I got, I would try to talk other people into doing the same. I had THE time of my life and wanted everyone I knew to experience something similar and stop making travel seem so impossible in their heads. I also wanted to start taking better photos for my blog, so I got a nice camera and took a few classes at a local community college. I thought I was only interested in travel photography, but this quickly blossomed into a beautiful little photography business working with local models, families, and couples as well. I now intend to use the two hand-in-hand and would ultimately love to be paid to travel to take photos (which I just started doing at the end of 2018, woohoo!). I’m not sure if it is just American culture or all countries, but almost everyone I know has this false idea of travel. They think it’s unattainable, only for rich or retired people. Let me tell you that I have met travelers from ALL walks of life on my trips and learned that really ANYONE can do it. With all the programs out there like Couch Surfing, Work-Away and WOOFing, you can do it with or with out a lot of money. The first step is to just believe that you can and stop creating false boundaries for your self that society teaches us. I created this blog so I could put everything I’ve learned in one spot and share that information more easily to anyone who might want it. And MOST importantly, I hope to inspire anyone and everyone to go out there and wander. See some of that big beautiful world, get lost, find yourself, learn, grow and make the most unexpected new friends along the way. Traveling has expanded my mind and opened my heart over the years. I hope to inspire anyone and everyone to go out there and wander!